We visited the Great Smoky Mountains National Park this week. The first day we drove part of the Blue Ridge Parkway stopping at some of the overlooks. 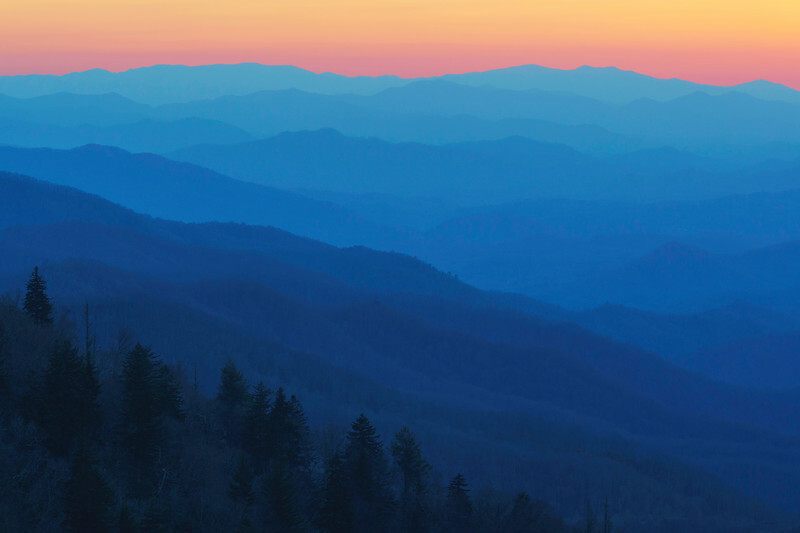 Just after sunset, the Woolyback overlook took on the deep blue color for which the Blue Ridge Mountains are known. The town of Cherokee is located at the bottom of this valley and most of this view encompasses the Cherokee Reservation. The next day we drove into the Cataloochee Valley, located in the Great Smoky Mountains National Park. It is one of the most remote and least visited areas of the park. 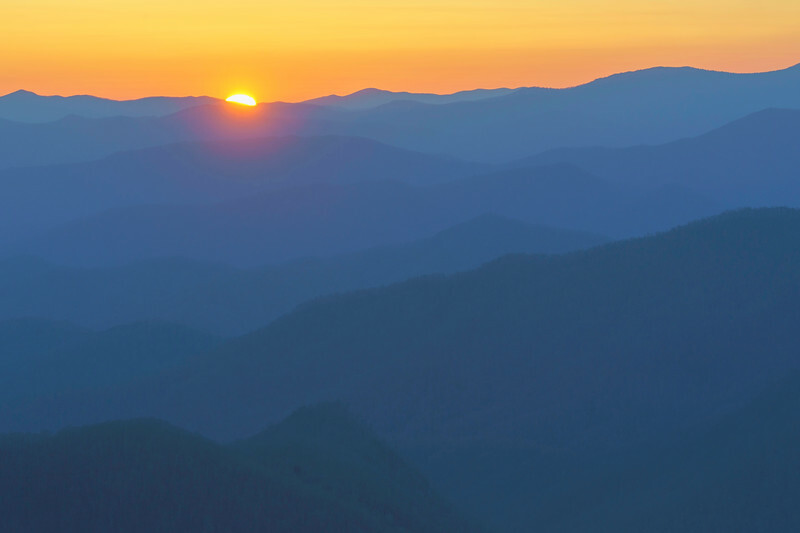 Access requires a two-hour drive along a twisting dirt road with hairpin turns, climbing over the ridgeline of the Balsam Mountains. 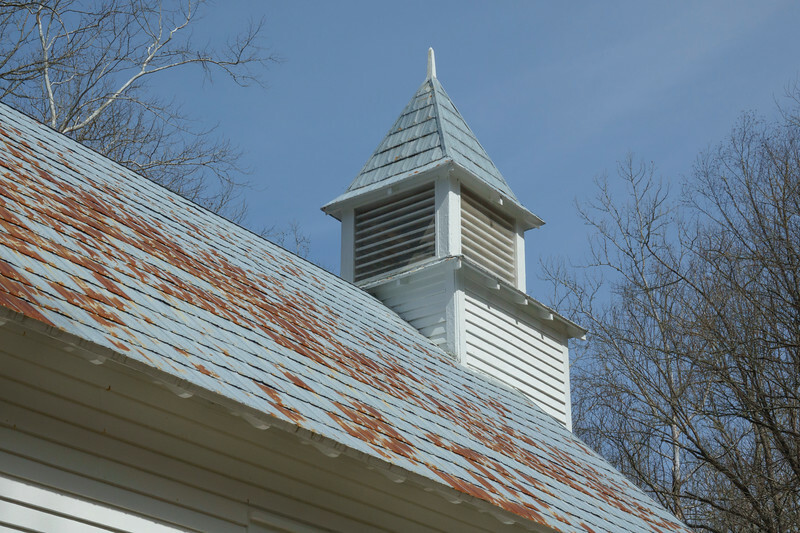 This was once a choice site for farmsteads and became the largest settlement in the Smokies. Only a few of the nearly 200 buildings that were here at the turn of the 20th century remain. 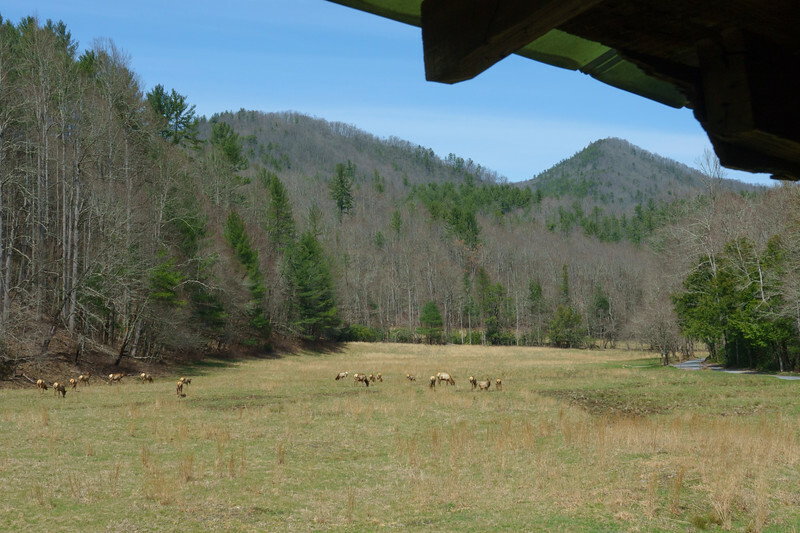 The view from one of the barns now looks out on herds of elk instead of cattle. 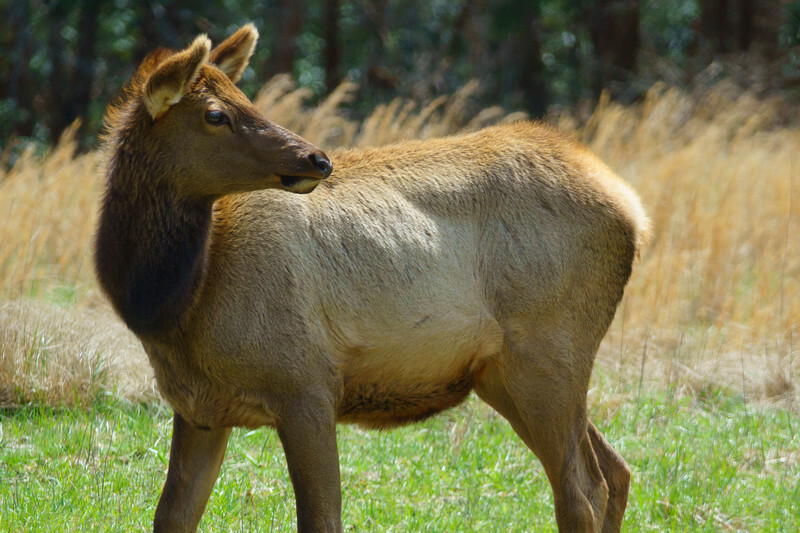 After losing the last wild elk to overhunting in the 1800s, the park introduced elk to this area in 2001 and they have grown to a herd of more than a hundred. 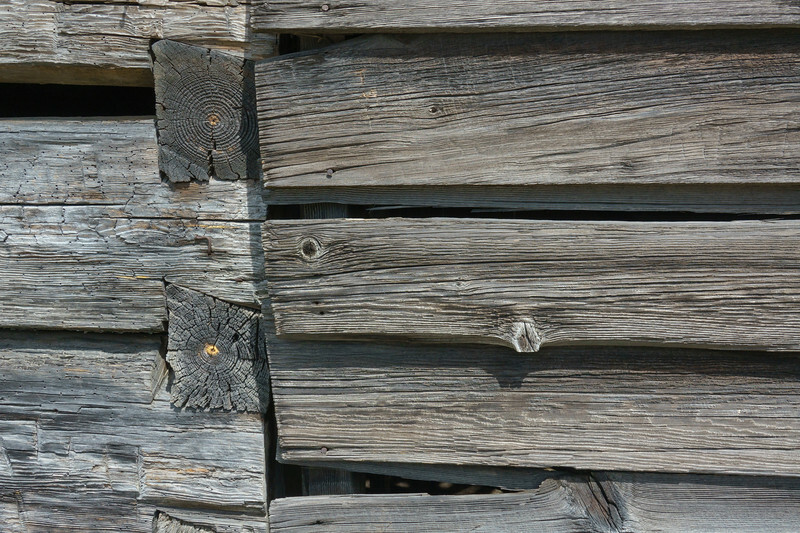 The log structures have unique designs that are interesting to look at. 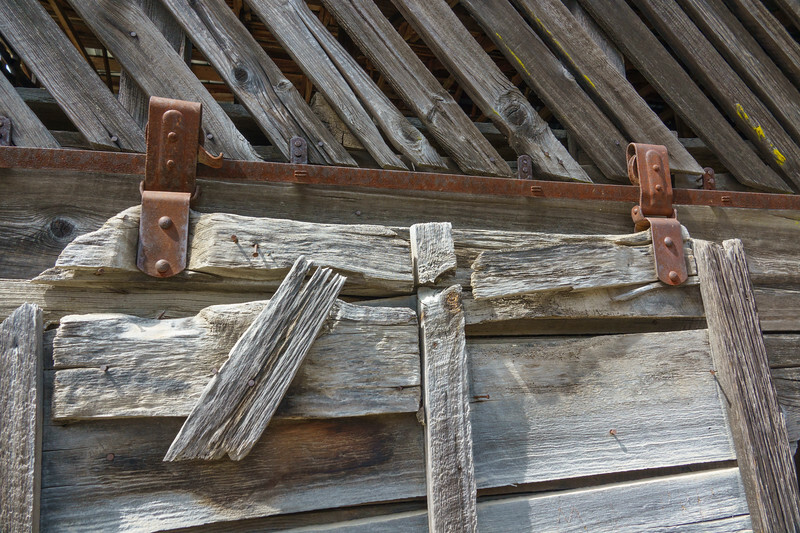 Two different designs in logwork. 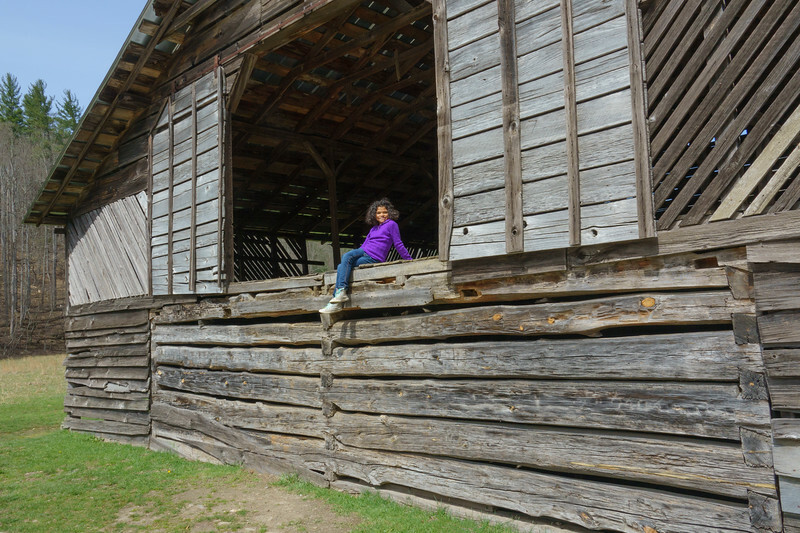 Our granddaughter looked out over the valley from one of the barns in the same way that I am sure many young kids did when the area was homesteaded. The church is one of the best-preserved historical buildings. One of the rooms in an old homestead was wallpapered in pages from old catalogs. 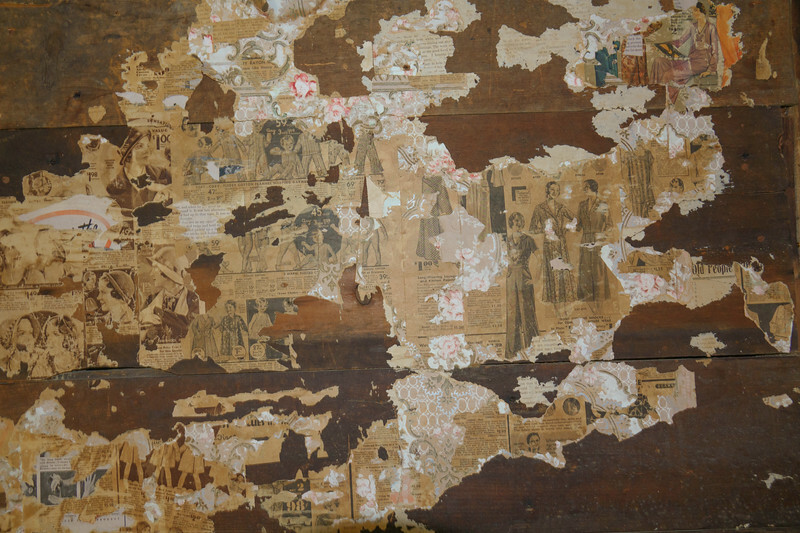 Poorer families used newspapers and catalogs while those with more money could afford wallpaper. The ceiling of this home still had remnants of wallpaper on it, so the family’s fortunes had improved before their home became part of the national park. Our granddaughter took this photo of a young elk as it was looking back at the rest of the herd. 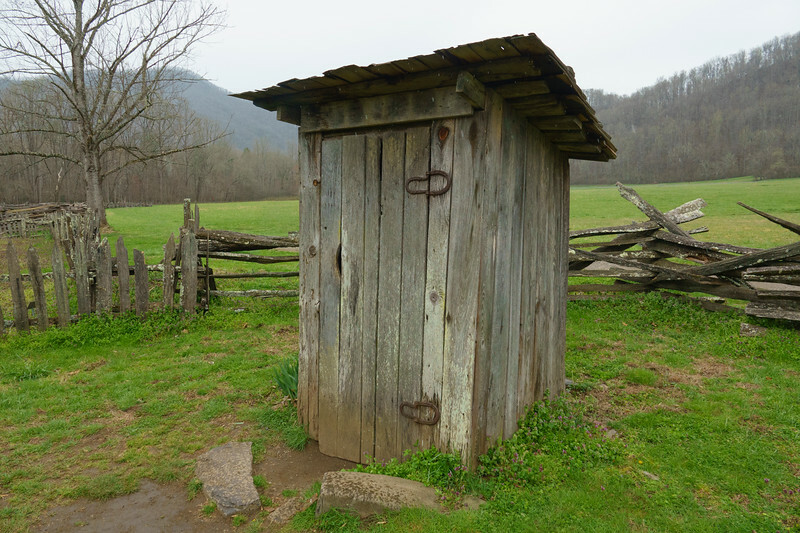 Historical life in the mountains with no school sounded pretty great to our granddaughter until she saw the bathroom facilities.